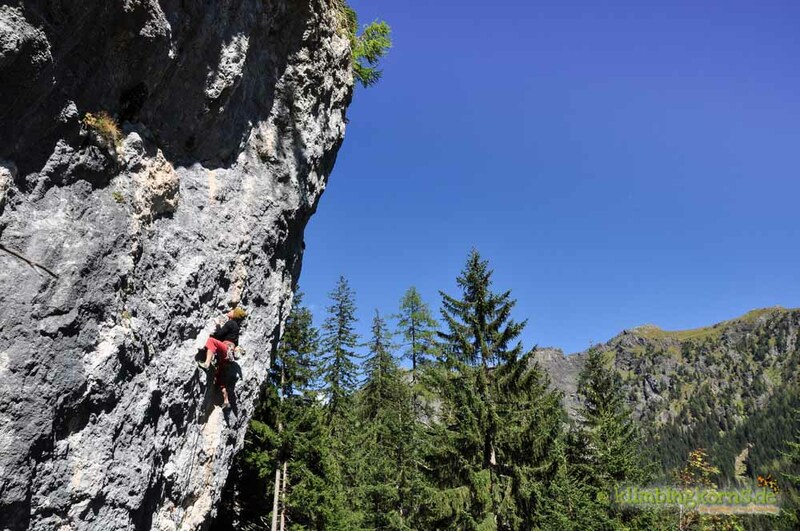 It wasn’t exactly a perfect summer for climbing in the Alps last year and it had to see a few attempts to check out some of the recent developments of the climbing areas in the dolomites. The last two decades saw us coming here sporadically. We lived on older guide books from 1998, pasted with tiny bits of topos gathered along the years. 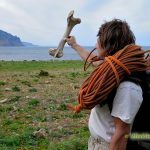 It was only recently when finally, a new Guidebook was published from Vertical Life, that ended the history of the bits and pieces of paper. Finally a bible with all the information was published and bonded. 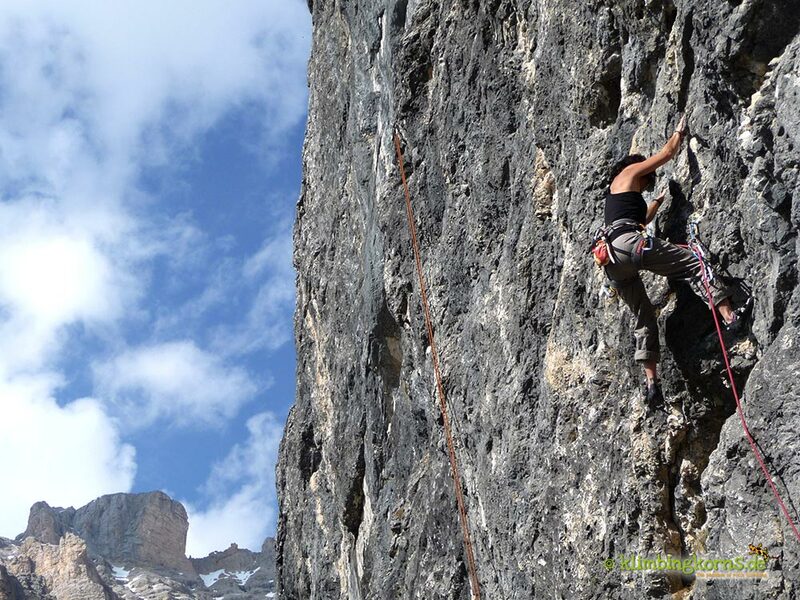 We were psyched to make climbing in the Dolomites our destination for the summer. But the weather turned sour, and we had to pull out Plan B. Only end of September did conditions turn for the better, the crags dried up and the weather warmed up too. 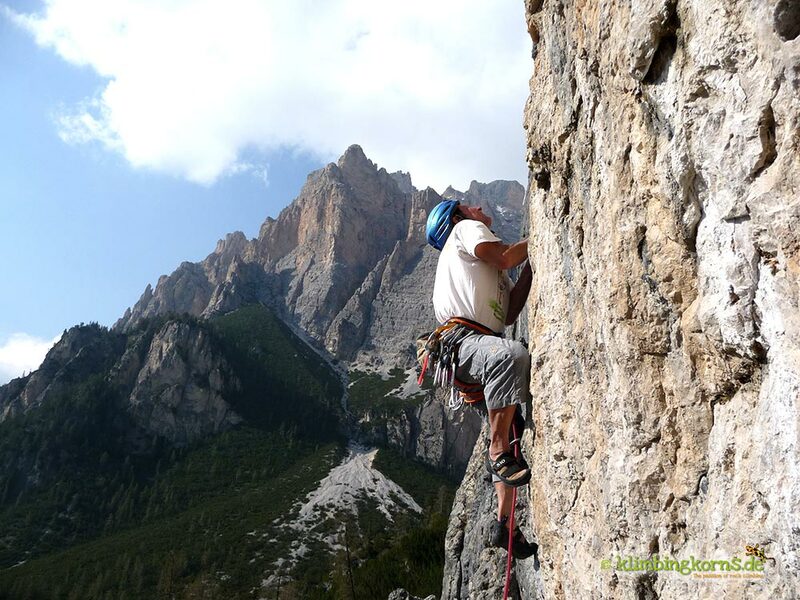 Cortina is a good base point to see major sites of the region. Otherwise, being flexible with your accommodation allows you to see and do more. Good weather goes perfect for high altitudes and make the summer venues (the shady ones) a pleasant one, instead of freezing up. The roads here are very windy, there are plenty of serpentine, mountain tourists and motorcyclist, and race cyclists in the weekend. I picked out a few areas in the region that we saw last summer. It was only a fraction of the areas covered in the book. 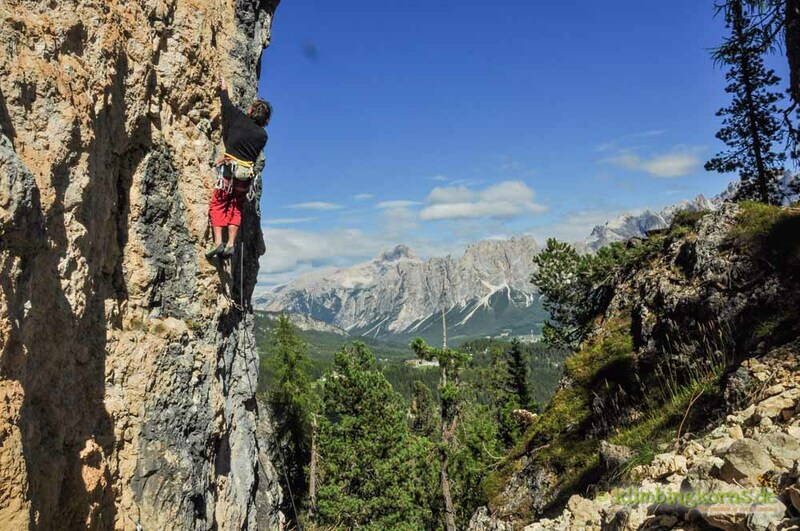 This crag lays in the outskirts of Cortina and has a small choice of routes to climb on. Grades go from 6a to 8a. The wall faces east, but gets shade quite early in the day. The streams and rivers pushes the temperatures down, making this a really cool summer spot, with views to Monte Cristallo on the other side of the valley. Beware of vipers. There are huge specimens lingering around. You’ll find a few warm ups in the first pitch of the routes on the right, followed by harder ones for the ambitious in the middle. 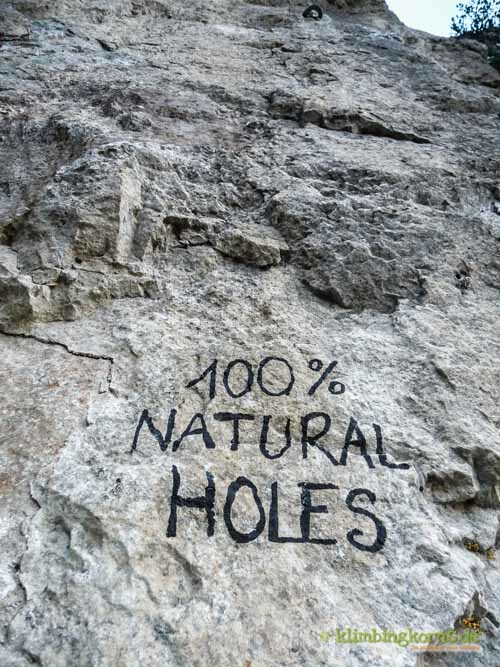 You should be climbing a 7b+ to feel comfortable here, also for a few routes that are spaced out in their bolting. 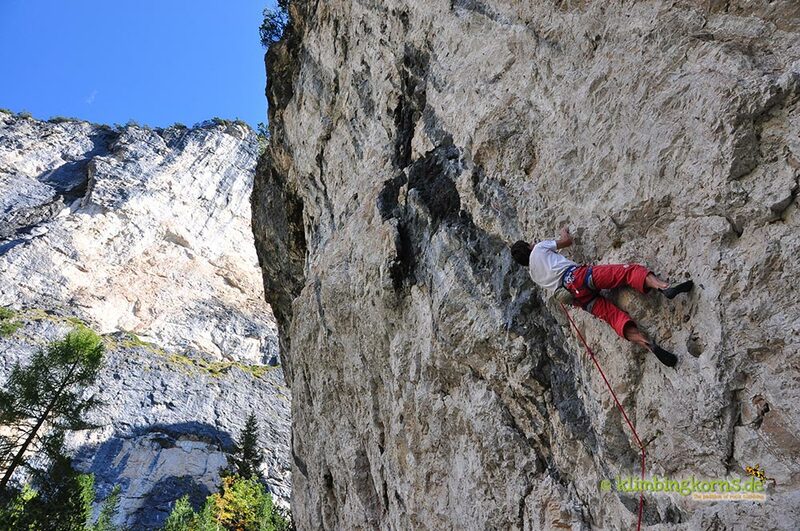 This is a block laying right at the foot of the Marmolada. 3 sides of the block is bolted, which means you have an east, south and west facing orientation to choose from. Even though it is surrounded by trees, the sun shines on in without limit. Athletic moves on a strong overhang describes the movements here. The warm up routes are filled with holes and jugs, similar to those in Endstal. Not for those of you who fears a 6a in a 30 degree overhang. 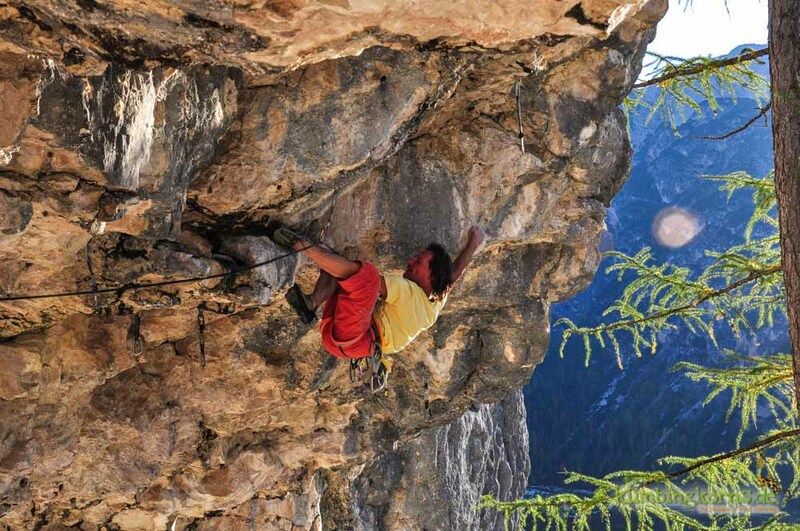 The west side has a few pleasant climbs on a lighter, less overhanging note. Avoid coming here in an event of the cold North Winds blowing (Fönsturm) unless you want to test how wind proof your jacket is or have an all weather hair-do. 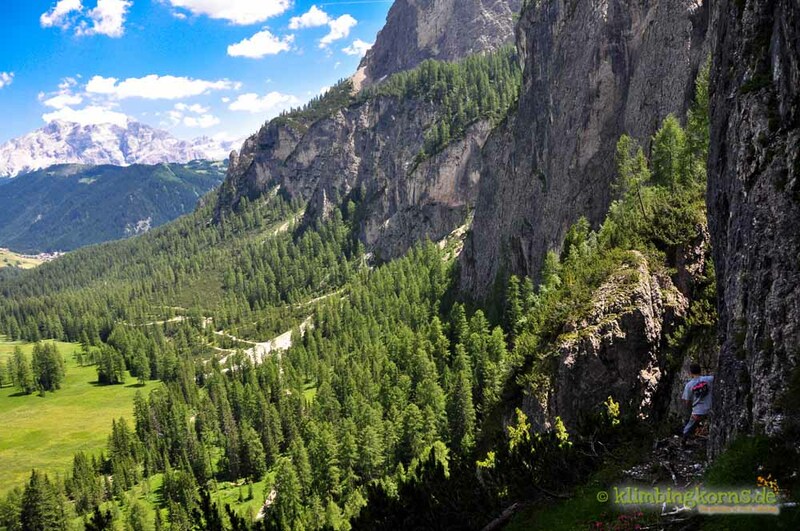 A paradise indeed after surviving the adventurous access to this spot perched high up on a terrace in Val Badia. The Via-Ferrata access with at least a grade C-D (D if you belong to the shorties in this world, like me ) level was in a bad shape after the winter, the wired rope was badly secured ( 3 consequent bolts were damaged and hanging loose from its place) and the iron rungs were set way too high for smaller climbers (under 1.60m) loaded with a heavy backpack. Be prepared to solo some parts. 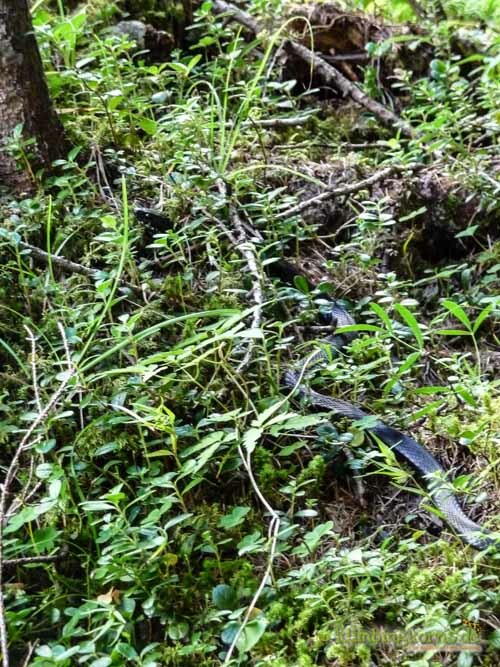 Wear a helmet and your harness right on before you start. We didn’t bring our helmets along that day, and had little gravels at the last steepest part of the access falling on us. It was stepped off from the first person leading and can’t very much be avoided. And once up there, you’ve reached a true paradise. 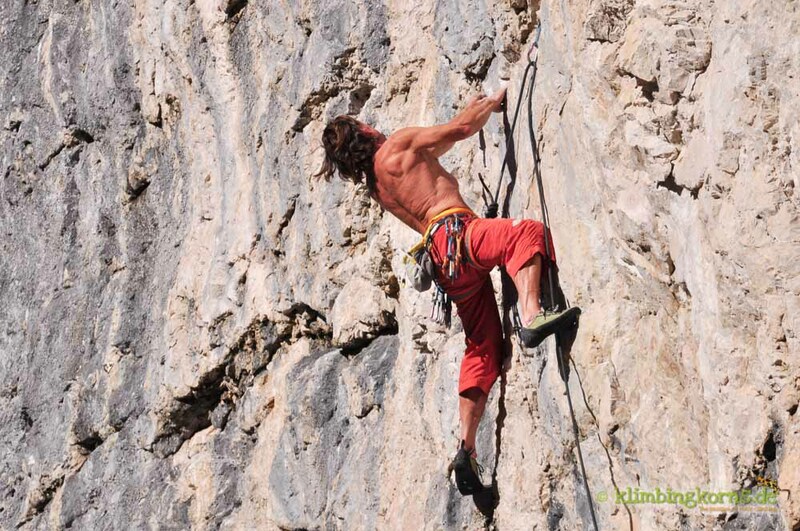 Many routes finds you on sustained climbing on ledges, some 28 m long. 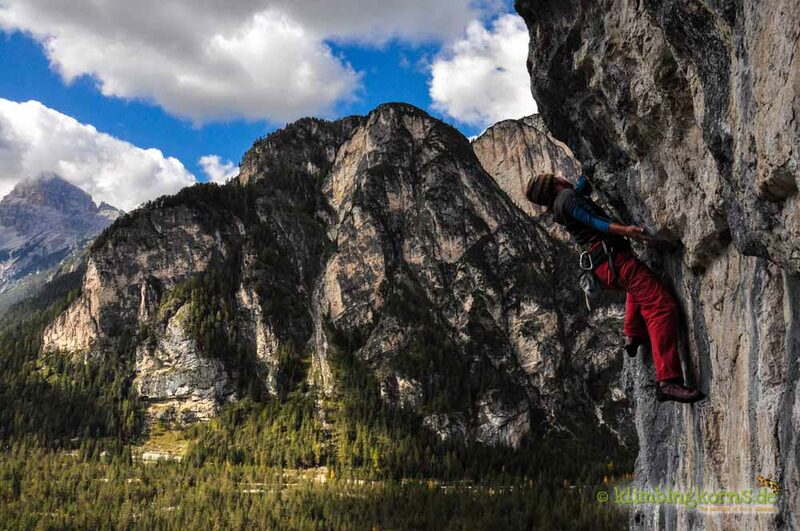 “Magic mushrooms 7b+” is a nice route to take home with you, before leaving the Paradise. The site has 5 stars. Confirmed! When we came, we found double amount of routes on the wall than in the guidebook. Freshly bolted last summer with many new routes to choose from. The climbing is technical on side crimps and is somewhat slabby. 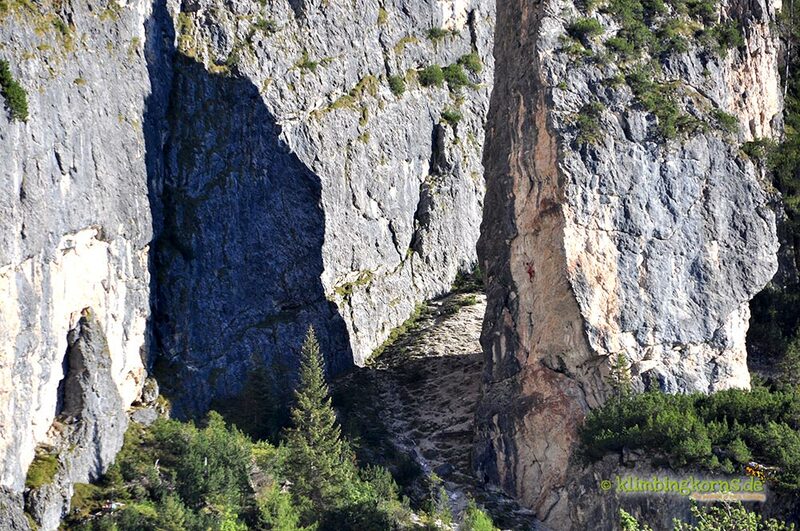 Though short, this is a good alternative to the more crowded crags in the neighbouring area. 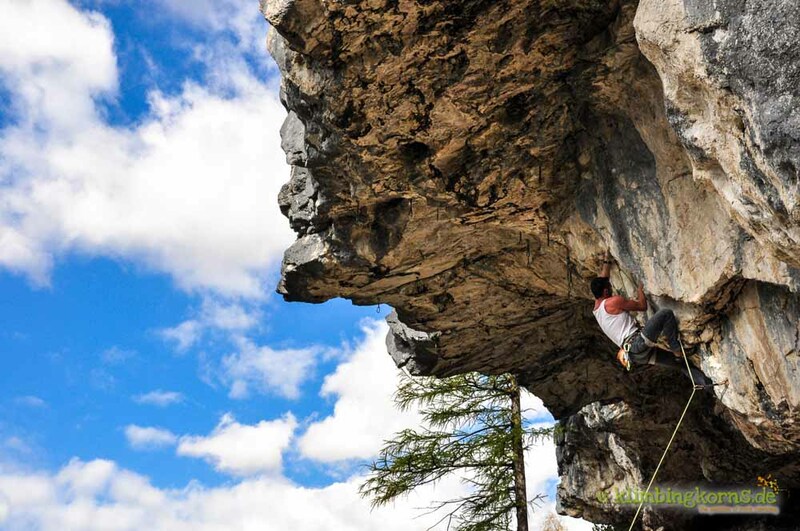 Not new but it is one of the biggest developed crag in town. 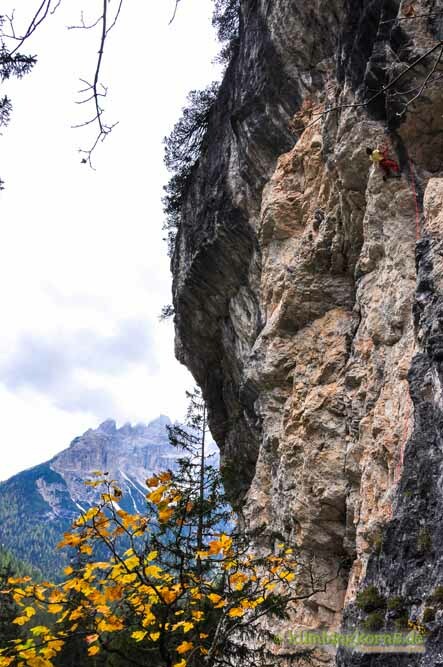 The south west facing wall offers sport climbing routes on long vertical walls (shade after 13:00) . The athletic Sorci Verdi sector is north facing, perfect for the summer. 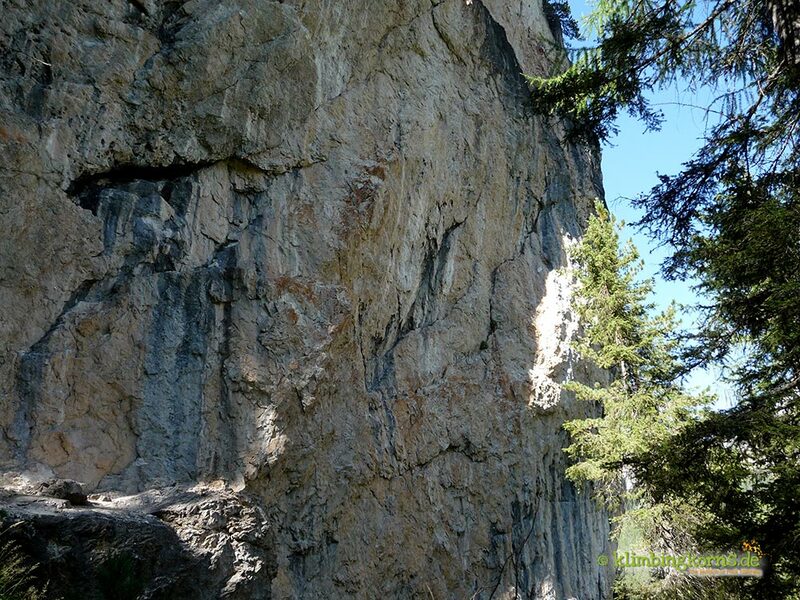 There’s even a traverse which starts from the bottom end of the crag leading to the other end and has 200++ moves and is 52m long. 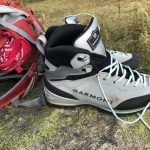 You might feel more comfortable wearing a helmet while climbing on the vertical sectors, even though not many does that. Every now and then you’ll hear a rockfall coming down, landing inches away from where the base is. The wall is often wet in Spring (in the vertical sections and Sorci Verdi) but in case of long dry periods I have seen perfect conditions in March too. Lovely routes, in every sector. We didn’t quite expect to find what we read until we got there. After a long 40 min walk, you find the first sector after the wooden signboard. (Note: the guidebook says left, but the way goes both times to the right!) 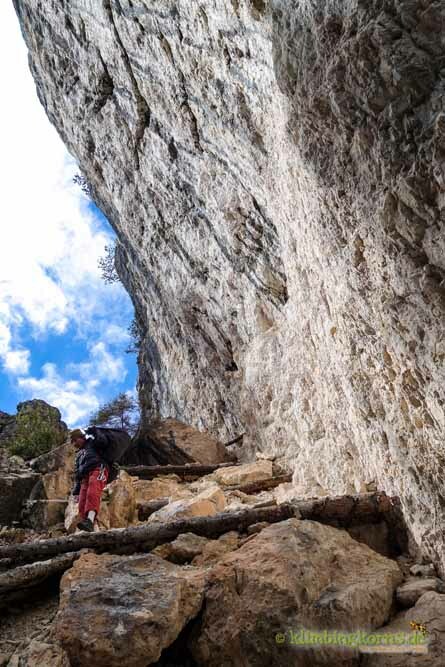 A few steps later makes you gasp when you find an overhanging tooth-like block with plenty of athletic routes in the upper grades. A few rows of wooden benches, lovingly carved made it felt like sitting in an amphitheater watching the show. It was freezing cold that day. We had about 6 °C with plenty of clouds. 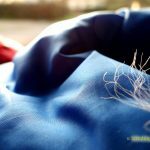 Strong winds tested if our jackets were really wind proofed . There was not much signs of summer. The next upper sector looked more promising, if not for the clouds that kept building up. The easiest warm up we found was a 6c+ right at the end. It started on a vertical wall and ended in an overhang with plenty of holes. 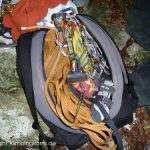 By the time we finished the route, I had everything on I could find in my backpack. The north wind was merciless. Cold! We found a more protected section of the crag and maybe it was a little sunnier until the clouds came again. “The Ringo boys” a 7c+ to work out on. And it felt more like a life time project. We’ll be back again, once it gets warmer! Puuuh, not quite sure where to start. Recent developments gave this place many new sectors and routes making it actually to one of the hottest spots in town to climb in. Events like the Dolorock Climbing Festival was held here and introduced the new sectors to the public. 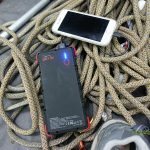 The routes are often long, you would find often endurant climbing on good quality rock and overhangs. 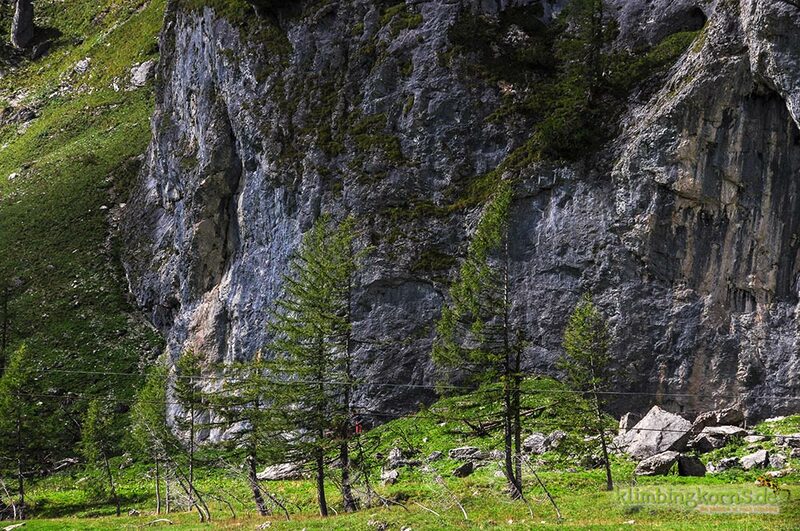 There are all kinds of crags that’s good for all sorts of weather and time of year. 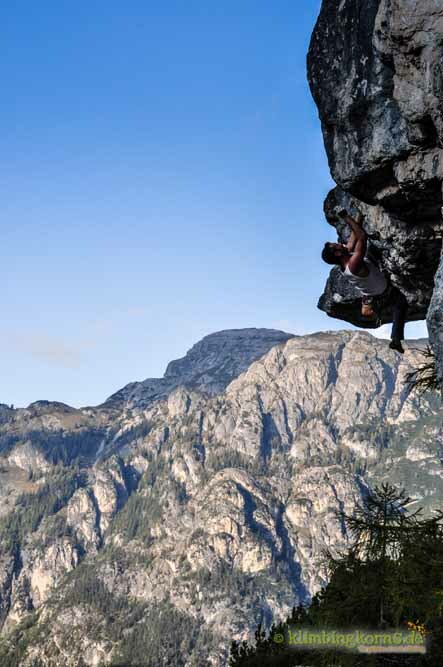 Landro is not new as climbing has been existent for decades. 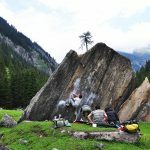 And so you will find many classical routes in the valley too. Nevertheless, most of the routes here are perfectly bolted and rebolted. There’s enough sun for everyone wanting to dwell on either the left or the right side of the valley. And there are sunny walls for colder days to catch breath-taking sun downers at 8 pm in the evening (summer). I would suggest spending a life time here :-) Let the pictures tell their story. 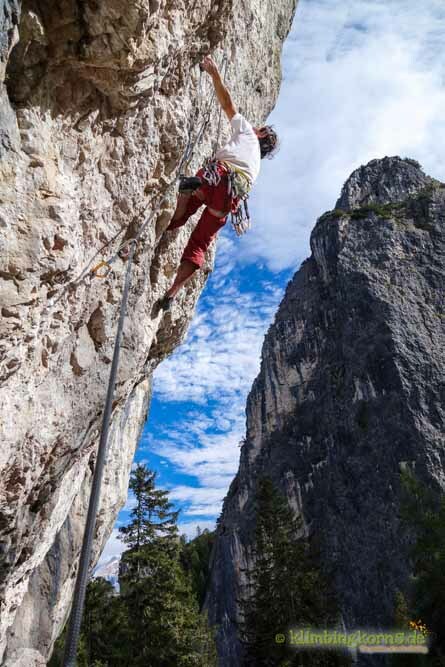 The Dolomites has been the playground for all aspiring Alpinist for many generations. Recent developments has made this Region even more popular and inviting, opening the doors to many new possibilities and alternatives. 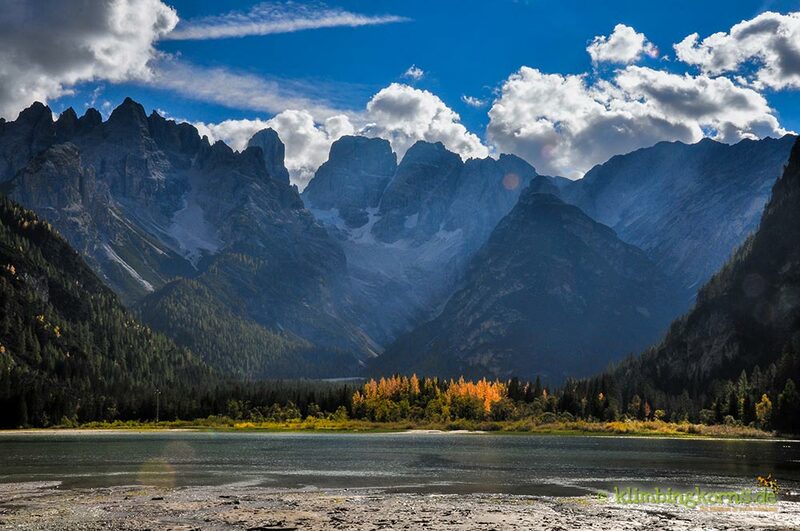 So seldom will you find such amazing peaks in Europe, not just for the eyes, but your little fingers too. 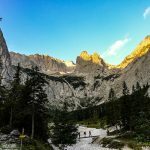 Generally, climbing in the Dolomites can be carried out actually almost throughout the year, unless there are long periods of heavy rainfalls, and when the winter just doesn’t want to go away. Since many of the access there takes a tick longer, (instead of being able to belay from out of the car) it is good when the snow has thoroughly disappeared. (Unless you want to snow shoe your way in) Late spring to late Autumn are the best times to go, and if you’re numb against frozen fingers, then early spring is good too. Climbing here means climbing in altitudes from 1000 Hm and higher. It’s always much cooler than the areas in the valley, and thus great for summer. It rains. There are a few walls that are partly sheltered from the rain in the region. However, you must also be prepared to walk a longer distance for a few routes that might remain dry. Longer and heavy rainfalls wets the fun a little, and you’ll find that most of the walls start to seep after 2 days of heavy rain. Franchi and Landro is easily reached and sheltered. Cogoi within 10 mins. Once you’re soaked through the skin and the mood dampens, you might find better, warmer conditions in the areas around Lago di Garda. It’s better to go skiing here instead. Best by car. And take a bit of time with you to enjoy the scenic ride. There are numerous Refugio and guest houses or rental apartments too. 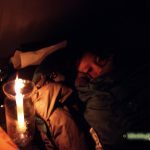 I found ourselves camping most of the time, as this gave us the flexibility to move from one region to the next with ease. Note that the roads are windy, and you might not find much fun in driving millions of curves from one end to the other in a day. We have a spring Goodie for you. 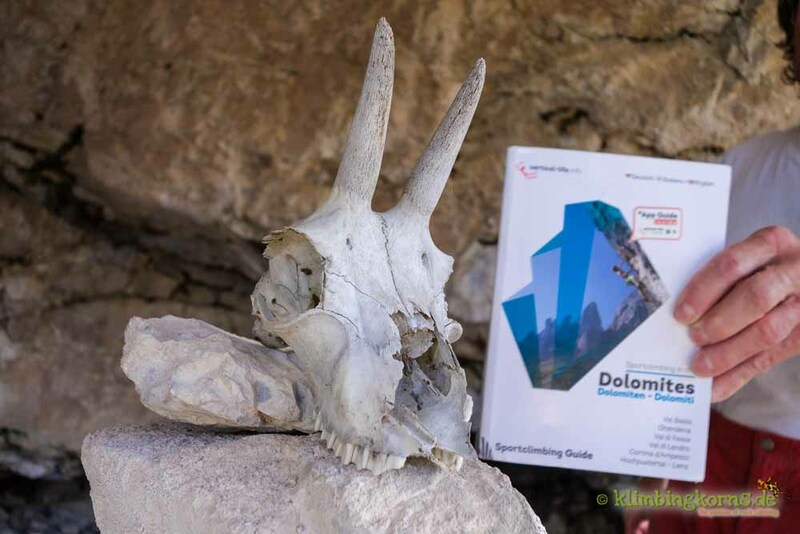 Check out the App Guide with FREE Topos to the region Val Gardena! Smaller markets are available in every town. “Bigger” supermarkets in Cortina. 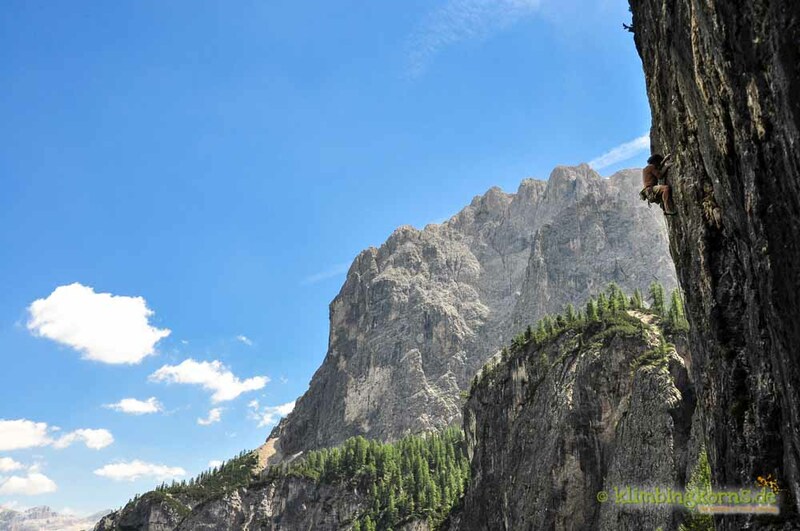 Being in the Dolomites, you are surrounded by very high mountains. There’s a lot of history behind and between the summits. 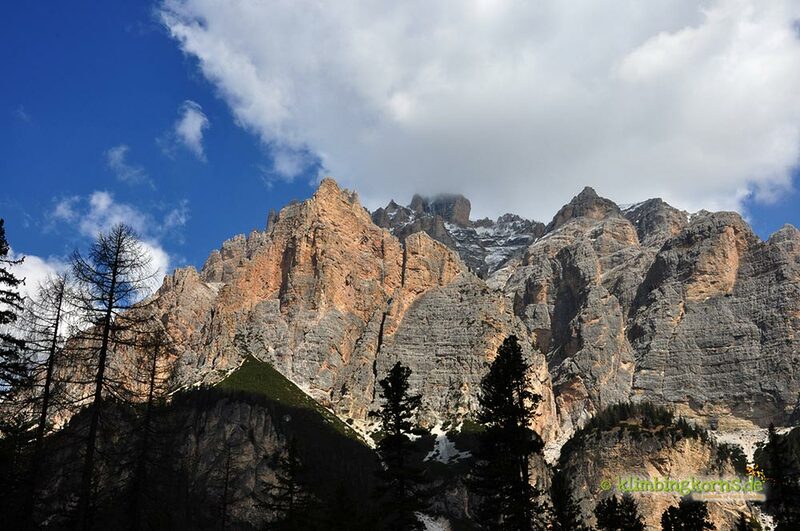 Part of the 1st World War took part in the Dolomites where thousands of people were killed. Today, you will still see some of the debris laying around in some of the ways. There are guided historical walks in the summer time. Be sure to ask your host if you are interested. Open air Museums are also found in the region. Enjoy the nature, the scenery and the landscape. Smell the flowers and dig in what the landscape offers you. South Tyrolean cuisine. You could eat everything on the menu. It’s always superb. Try the Tris, or a Venison in one of the Refugio. It’s just different and very delicious.